Pittsburgh won more games than any AFC team in any single season EVER. They tied the 1972 undefeated Dolphins for the longest winning streak of all time in a single season with 14 wins in a row. They have so much depth it's not funny. I've been waiting 24 years for a season like this. I hope they can cap it off with a superbowl win so the Steelers can have their 5th superbowl championship. They are truly the class of the NFL. Edited by Indica, 02 January 2005 - 10:42 PM. That's going to be kind of hard since they only played them one time EVER in the AFC CHAMPIONSHIP GAME. We beat the Patriots in the playoffs in 1998, which is the last time they played in the playoffs before NE beat us in 2001, however that wasn't an AFC championship game. Nice try though. Edited by Indica, 02 January 2005 - 11:35 PM. 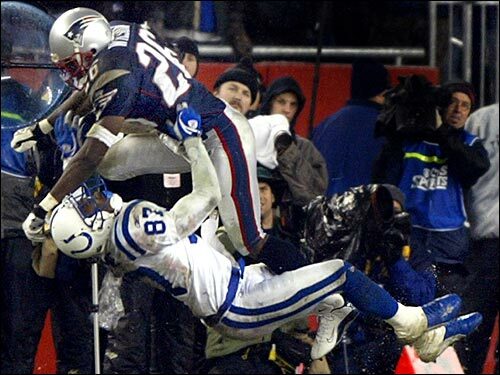 We beat the Patriots in the playoffs in 1998, which is the last time they played in the playoffs before NE beat us in 2001, however that wasn't an AFC championship game. they sure seemed like afc championship games looking back at them . ok so basically we kicked your collective asses in the FOG GAME and then stole it from you in 2001 (is that right?). there seems to be a discrepancy between our posts. should be some great playoff games this year though. Edited by daveyt, 02 January 2005 - 11:43 PM. How long have you been a pats fans? Pats fans seem to be coming out of the woodwork in the last 3-4 years. Edited by Indica, 02 January 2005 - 11:57 PM. Ever since they started winning! LOL! 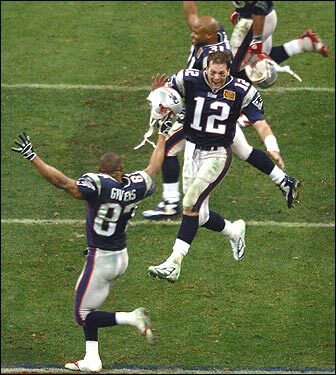 Seriously though, before about 2000-2001 I never knew one Pats fan in my life. ive been a pats fan ever since john hannah came to our middle school in massachusetts to sign autographs on some killer photos. i went to a game in 1988 too! pats fans are honest fans. they never go away during the bad years. in fact they are even more vocal when things aren't going well. Didn't someone lose their job for saying that? Doesn't change the fact that he IS overrated!